In the 1970s, Bob Lutz and others transformed BMW's brand image. A 1975 BMW 3 series is pictured. When automotive legend Bob Lutz joined BMW in 1971, the company built 200,000 cars and 20,000 motorcycles annually. "By world standards, we were tiny," Lutz recalled. But Lutz, a board member in the early '70s, played a significant role in raising BMW's profile. In particular, he is credited with helping create company-owned sales arms in Europe. As head of global sales and marketing, Lutz was also instrumental in BMW taking over distribution in the United States. Lutz says setting up the sales companies wasn't easy. In fact, he sites his biggest achievement as: "Ridding BMW of the parasitic European national importers." "It took enormous energy and battling against opponents both inside and outside the company," he said. A BMW spokesman credited Lutz with many achievements, including modernizing BMW's design practices. And legendary CEO Eberhard von Kuenheim noted that in the critical fight to gain control of foreign sales from distributors, "I had very good help from a man named Bob Lutz. That was one of the secrets." Lutz: Fought importer in U.S.
Lutz describes some eyebrow-raising tactics Maxie -- as he calls him -- Hoffman used when approached about giving up the BMW contract: "He wanted to point out that some of BMW's best customers were important Italian families who favored big sedans, and if something happened to me -- heaven forbid." It didn't faze Lutz, a former U.S. Marine Corps pilot who moved on to executive positions in the United States at Ford Motor Co., the former Chrysler Corp. and General Motors, where he was vice chairman before retiring in 2010. In the end, Hoffman relinquished the import business after a court fight with BMW. "It took a lot of money, but we finally got rid of him," said Lutz. While dealing with Hoffman, BMW also was setting up a U.S. headquarters in Montvale, N.J. Lutz also had a hand in tailoring a new advertising tag line for BMW in the United States, which the brand still uses: "The Ultimate Driving Machine." Germany was using the tag line "Aus Freude Am Fahren" and wanted the literal translation of "The Joy of Driving." Lutz said he nixed the idea, arguing "it does not do for us what we want to convey about a technologically superior car. "Machine' rather than "car' conveys a sense of substance under style and solid engineering." The early BMWs in the '60s and '70s were designed by Bertone, the Italian automotive design house. "Then BMW and Bertone would do the body engineering together, but the basic design was Italian," Lutz said. BMW decided to design the successor to the 2002 -- the first 3 series -- in-house. "They had one designer, and he reported to body engineering, and they adopted solutions that were easiest to engineer," Lutz said. "When I got there, my guy said, "We hope you get to styling and see the model for the replacement of the 2002. It is so bad that we would rather keep the current one,'" Lutz said. "I looked, and it was awful. I got the company to cancel it and to start over. It was the first 3 series." The first 3 series copied elements from GM. "The protruding nostrils were a GM design theme at the time, with the center of the grille standing forward from the rest of the grille," Lutz said. And BMW wanted to remove the kidneys -- a now iconic part of its face -- and replace them "with an open grille like any American car with horizontal bars," Lutz said. "The fact that a person like me had to prevent them from doing things like that tells you about the competence of senior management." The company was using wood and plaster to develop future vehicles, which took months, while GM and Ford were using clay, which is easier and faster, Lutz said. But there was only one supplier of the needed clay in Europe, and GM and Ford had bought up the entire supply, he said. Lutz said he turned to his former colleagues at Opel in Germany, who said they had "a ton of it," and they sent not only the clay but some of their employees who knew how to trowel it. 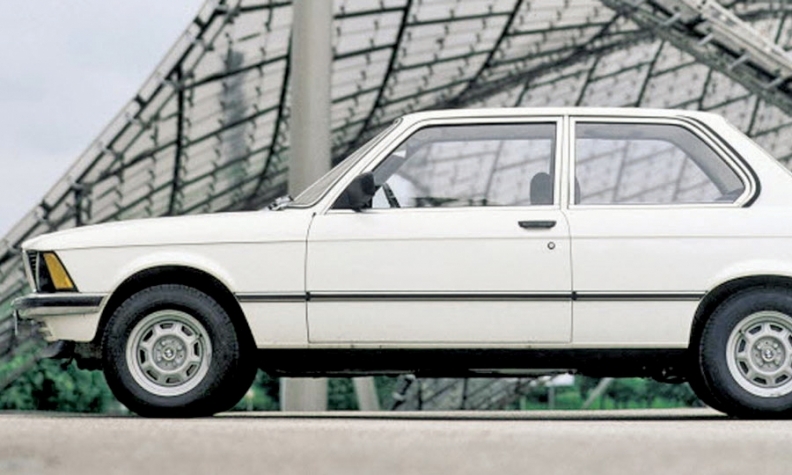 "The first phase of BMW design -- they learned how to make clay models courtesy of GM." Lutz said he also revamped the motorcycle strategy, which resulted in "the creation of the famed R 90 S, a hugely successful and profitable bike that got the finance people to believe in bikes again." Under Lutz's guidance, BMW also canned its "crazy, illogical naming mishmash" and created its 3-5-7 naming strategy, he said. Lutz, who moved on to Ford when it became clear he would not be promoted to chairman, noted, "That's about as much as I could get done in not quite three years." As BMW moves into its second century of building cars, Lutz praises the brand for staying true: "They do build excellent cars -- no question about it. They have very carefully nurtured their brand. They never strayed off the course of being a driver's car. "They have up to now been very true to their ethic and never tried to please everyone." But Lutz worries that BMW is "now a big corporation making millions of cars, and they ... have a whole bunch of product planners and product segment analysts and product specialists and so forth." "In the '50s, '60s, '70s, '80s and '90s, it was product-driven building of an impenetrable image of excellence. They have managed the acquired reputation." Lutz said he fears BMW is "not building on it." "But," he added, "they are doing a good job managing it, because I have not heard anyone say they are displeased with their BMW."